Well may you think that the words “Forensic” and “Plumbing” and “Expert” should not be included in the same sentence let alone combined in a job title! However, we beg to differ and we are confident you would agree if you ever reviewed a Metropolis Solutions Forensic Plumbing Investigation Report. Plumbing does not have the glamourous reputation. However, without it, Australia itself would be a very unglamorous place. Picture Melbourne city without regulated plumbing and suddenly it’s looking a lot more like the third or fourth world. By its very nature, plumbing is generally buried – beneath, within, atop the structure of all habitable buildings. 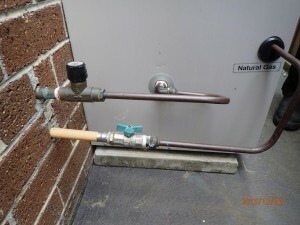 Plumbing pipework carries mostly fluids and sometimes gases into and out of a building. Metal roofing, which is also regulated plumbing work, is responsible for keeping a building water tight whatever the weather is throwing at it on any given day (talk about essential!). By far the majority of problems that people may experience in relation to the buildings that they live, work in or manage, are to do with plumbing problems in some shape or form – particularly the ingress of water from either roofs, services or penetrations. These problems range from minor nuisance (albeit emphasis on nuisance!) to absolute catastrophic (picture collapsed ceilings, black mould, heaved concrete slabs, burned down houses and sick or even dead individuals). It’s not an overstatement to remind you that the health, well-being (and sanity!) of you and your family is dependent on quality plumbing compliance. Plumbing in Australia is very highly regulated. You pay hard earned money for that compliance when you sign up for your new house or building or else purchase one from someone else. But things can go wrong…badly wrong. So what if you do have plumbing problems? Perhaps…. Air conditioning or heating system not performing properly? Movement within buildings due to concrete slab heave? Visible plumbing just ‘doesn’t look right’? Water damaged timber flooring or plasterboard? Excessive energy or water bills? Water retention on your property? 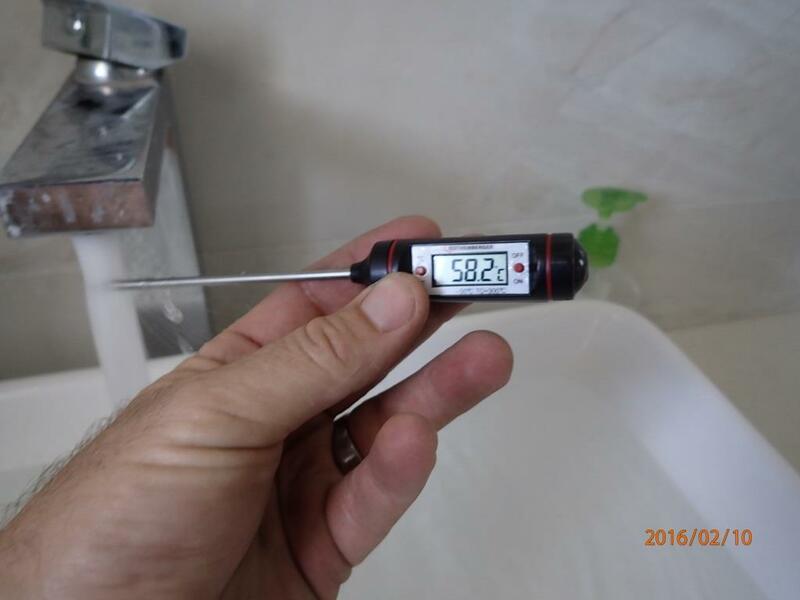 So why is a forensic plumbing expert ideal to help you get to the bottom of any of these problems once and for all? 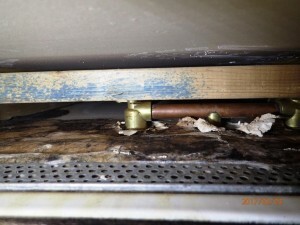 The role of the forensic plumbing expert is to assess the building holistically with the intention of determining what is causing the unwanted symptoms, why these symptoms are manifesting, where the source of the problem is located and then how it can be fixed in the most practical way possible. Depending on the nature of the problem, a forensic plumbing expert may also work closely with other professionals such as forensic structural engineers, mechanical services engineers and material testing experts to answer these essential questions. Technology such as infra-red thermography, CCTV pipe camera survey equipment and acoustic leak detection may also play a key role in the investigation. The forensic nature of the investigation needs to be based on facts and data and then reported on in a format that can be relied upon in a formal court environment if required. The highly regulated nature of plumbing also means that compliance (or failure of compliance) with regulations can be easily demonstrated. This means the classic “in my opinion” which commonly features in most expert reports from the causes of plane crashes to what’s caused cracks in your walls, is in most cases totally eliminated and rather any claims of defect are based upon fact and expert observation – backed up by detailed photographs and measurements with cross reference to specific relevant regulations. To put it another way, the expert forensic plumbing investigation and report is entirely evidence based whilst being framed by the practical experience and in-depth technical knowledge of the individual(s). Therefore to be a forensic plumbing expert, one must have an intimate knowledge and understanding of the regulations that govern plumbing in Australia combined with a practical understanding of the application of these regulations. A forensic plumber must be abreast of changes to legislation and key dates when any such changes came into effect. New technologies and innovation within the plumbing sector also need to be factored into reporting so this is an area that needs to be closely monitored via industry associations, conferences, seminars and publications as well as through plumbing product manufacturers and their wholesalers. We are well aware that forensic plumbing investigation reports will be scrutinised. A lawyer, insurer (or their loss adjusters) or perhaps even a builder or another plumber (even the ones at the source of the problem itself!) may attempt to rubbish the findings by creating what is now called in this Trump-era “Alternative Facts.” An experienced forensic plumbing expert will not be fazed by their findings coming under attack. There is always a truth no matter what mud may be thrown in an attempt to get away from this. The role of the forensic plumbing investigator is to find this truth and then present it in a format of the highest standard. 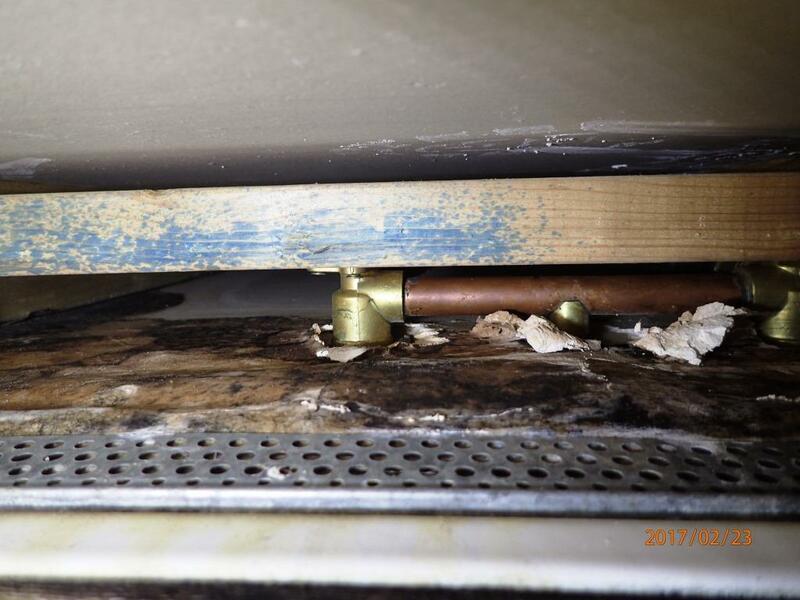 So, if you are experiencing “unsolvable plumbing problems” or are in dispute with your building/plumber or have a pending VCAT matter that involves an element of plumbing (most of them do! ), or if you are the OC manager of one of Melbourne’s many “leaky buildings”, or perhaps a lawyer looking to help a client resolve a plumbing disaster, then a Forensic Plumbing Expert is what you need. Get in touch with Metropolis Solutions today and get to the bottom of your plumbing problems. Our business combines the unique skill sets of Forensic Plumbing Experts with Chartered Loss Adjusters who also fully understand the insurances available. Our motto – Achieving Plumbing Compliance. That’s what we do. 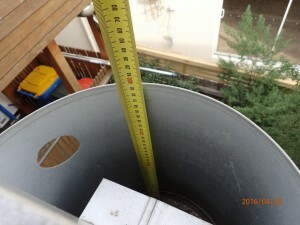 The overflow on this rainhead is not only tiny, but is also set ABOVE the spill level of the box gutter; the rainhead itself is also totally non-compliant. This is a very common cause of leaks in both homes and multi storey residential apartments. Very hot water in a bathroom; maximum permitted temperature is 50 degrees C. Non-compliant and dangerous. Non-compliant PEX gas pipe installation fully exposed to the sun and already badly damaged by UV radiation. These can fracture and leak gas. And no, you can’t just paint the damaged pipe or cover it up with a sleeve of plastic – it must be totally replaced. Metropolis found this leaking shower breach after two other so called experts called in by the owner had failed to.